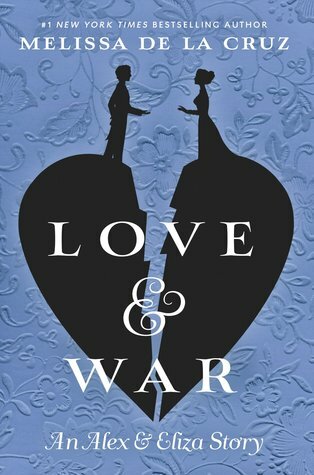 Love & War is the sequel to Alex & Eliza and it picks ups right where the first novel ended. Alex and Eliza have just recently been married and Alex is planning to return to assist General Washington on the battlefield. Eliza and Alex are separated for a majority of the novel and that was a bit disappointing to me. 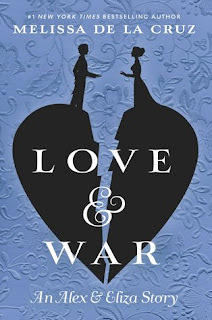 I really enjoyed Alex & Eliza because there was so much romance, but Love & War was lacking that same romance. Alex and Eliza's love for one another was still very obvious, but I missed them being together. Even though I didn't like the separation between Alex and Eliza, there was still so much to the story that I loved. As always, Melissa Del La Cruz did an amazing job with world building. I loved imagining New York City back in the 1700s and Cruz created such a beautiful vision for me! There were also a lot of new and exciting characters that were introduced and I'm excited to see where they play a part in the next novel. Melissa De La Cruz did an amazing job writing about this historic couple and I can't wait to read the rest of the series. I would highly recommend this to readers who enjoy historical fiction and romance novels. Thank you to Penguin Teen for sending this novel in exchange for an honest review. I am really interested in picking up the first book of this series as it is a subject I would love to learn more about within a historical fiction backdrop. As always I really appreciate your honesty and great ability to share insight with your blog readers. Thank you!